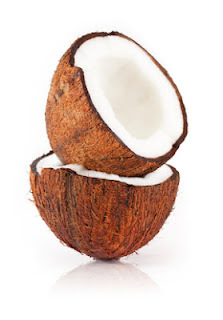 The Life Extension Blog: Can Coconut Oil Treat Alzheimer’s Disease? If there is evidence that it can help and not hurt, I say try it. You'll most likely not get it approved as a drug because it is not patten worthy. No Drug Co. is going to spend money on it. I say the pros outweigh the cons. I distinguish the potential usage of this MCT in my everyday diet. If for any reason being quite helpful for my brain too I am going to keep it for ever. Everything that helps m e but not deconstruct me I shall be real and serious user. Google, Dr Mary Newport..."What if there was a cure for Alzheimers Disease and nobody knew?" In a nutshell...she gave her husband who had Dementia,large amounts of coconut oil and had very positive results in helping him. Anonymous –Dr. Newport claimed her husband’s memory improved after taking coconut oil. She suggests it for conditions like dementia and Alzheimer’s. It doesn't sound like coconut oil actually reverses Alzheimer's, it rather provides the brain with an alternate energy source. If a person/animal who showed cognitive improvement after regular consumption of coconut oil were to discontinue use, I suspect cognitive decline would reoccur because no action was taken to correct the brain's insulin resistance. Perhaps, if we treated early signs of Alzheimer's naturally the way we treat metabolic syndrome, we could prevent the death of many brain cells. Wow! This is a great news. This will really help people to be treated on this disease as well as they can save money. Marilyn Bellantoni - You bring up an interesting point! Research shows there seems to be an association between Alzheimer’s disease and metabolic syndrome. We appreciate the kind words. Thanks for reading! So are we to suggest drinking coconut oil? If so how much? I read about Dr. Mary Newport and how she treated her husband's AD with organic coconut oil. It's very interesting and there's also a video about it. I say, also, if it can only help, then why not? Nice post! Your blog is a good source of great stuff and insights. I’ll surely be coming back. See you around! Surely if the person with Alzheimer's quality of life, and that of their carer's, will be improved it is worth taking Coconut Oil. It can be stopped if there is no improvement. I read a great improvement was made with a teaspoon of Coconut oil twice daily with food. I think the benefits might out weigh the risk of heart disease. The life expectancy of a person with Alzheimer's should be taken into account, when not taking Coconut Oil, against how long it would take to develop heart disease. If the person is more active there is less chance of the heart disease. Anonymous - Many times it doesn't hurt to try a remedy! Thanks for chiming in. My father has been diagnosed with Dementia and has been taking coconut oil for a few months now, he is doing very well and has improved. After not seeing him for a few months some members of my family could not believe how well he is doing. So i am very hopeful for the future and hoping to get my brilliant father back. Great article. We hope to get some good results on the coconut oil. Anonymous - You won't reap the same health benefits we've mentioned in the blog by applying it to your skin. But when applied to the skin, it has moisturizing effects. 3 tsp three times a day. When winter came, his memory started to slide and I thought we have to eat more food in the winter for energy so I upped his dosage to 4 tsp three times a day and that did the trick. I will go back to the lower dosage when warmer weather gets here. He has done very well with this and is able to function which keeps him out of assisted living or a nursing home. Please try it for your loved one. A bottle lasts about a month and runs around $20.00. LOUFS - That's awesome. Thanks for sharing your story! good to know of those immense health benefits.